Refreshes, hydrates and replenishes skin. Liquid energizing booster designed to kick start regeneration. Optimal anti-pollution shield. 24/7 skin protection. One energizing spritz helps soothe and neutralize irritated skin, restore elasticity and suppleness. The softening lotion reduces redness while elevating pleasure and comfort in the skin. Blending the rebalancing benefits of the amino-acid rich lotus cell water formula to invigorate, tone and infuse skin with replenishing radiance, vibrant strength and power hydration. 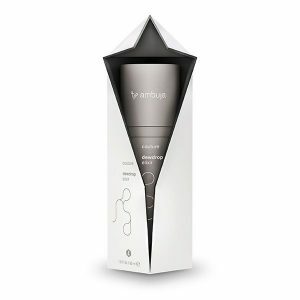 Spray face, neck and décolletage to unleash its antioxidant effects. For a dewy glow and a fresh appearance. Revitalizing facial toner and liquid energizing booster. For clear, hydrated and vibrant skin. Suitable for all skin types. Recommended for urban skin and jetsetting, frequent travelers. Ideal as a power fluid. Composition loaded with 100% natural bioactive ingredients. Either splash onto face, neck and décolletage or spray a moderate amount onto a cotton pad. Gently wipe the face. Follow with your daily moisturizer or nightcare. Use after cleansing to awaken your skin. Could either be used before or as the ultimate makeup refreshment or post-cleanse toner. Mix&match with dewdrop elixir to promote instant hydration. Re-apply throughout the day whenever your skin needs refreshment. Let it become your am/pm travel companion, your only handbag essential. But don’t foget to take some dewdrop elixir with you. Ideal for long-haul flights, a/c environments or during and after-sun exposure.